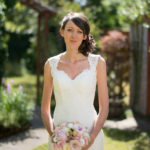 Feeling amazing whilst still looking like you is the most important thing to achieve with bridal hair and makeup. Listening to your ideas, likes, dislikes, dress design, wedding theme and colour scheme is critical when planning what make up look and hairstyle will work for you on your wedding day. We are experts in the wedding hair and makeup field and will work with you until you are happy with your chosen look and feel ready to walk down the aisle. 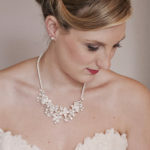 We have worked with hundreds of brides, so there is not much we don’t know about how to achieve the perfect bridal look! 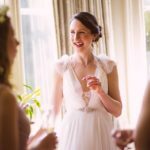 Whether its a natural wedding makeup look you are after or more of a bold style, we can advise on both hair and make up that will work perfectly for you. Our creative knowledge and professional kits will ensure your make up lasts all day long. Our kits include high end brands including mac, urban decay, arbonne, nars, chanel to name just a few. We choose products that give a great result, longevity and work well with photography. We believe that make up should enhance your natural beauty and boost your confidence, and that is exactly what we will work with you to achieve. 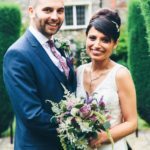 We will aim to see you for a trial around six to eight weeks prior to your big day, we will discuss your ideas and give you advice on what works well, we will then try out the look and make any changes you require until it is perfect. We work from our Make up and Nail studio in central Bristol, you will be invited there for your trial. You are welcome to bring members of your bridal party along to make it more of an experience and of course give an extra opinion! We will then come to you on your wedding day to get you and your bridal party ready!